If you want to know which 3 Star characters are best to use as core, sub, or healer, here's a quick list of notable units that you might want to consider using. If lady luck RNG isn't favoring you, or re-rolling isn't your thing, then why not try and take the challenge! 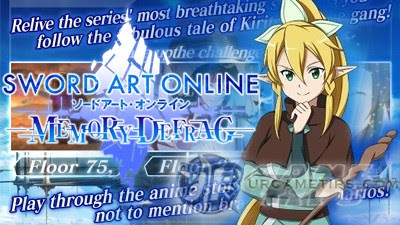 Create a team of 3* characters and take on the world of SAO! Can 3* Characters Complete Story Mode? - Yes, Normal Mode is doable and if done right (learn a bit of parry for 1 on 1 duels, upgrades, and stuff), but for Hard Mode, it might be more challenging because you need to parry attacks and dodge more. - As you progress through the game, earn enough Memory Diamonds and try your luck again, hopefully you'll be able to pull some strong 4*~6* units. - Yes, it is also doable until [Expert] difficulty, but for [EX] or higher difficulty, better team up with other stronger players to make things easier (if available). Best if you play with friends. How About for Floor Clearing Events? - Only the first few floors though, but 3* healers are very useful for this event even at higher floors. - This will be your main unit, level up, and upgrade all attributes and gears to make him/her stronger. - Characters that can wield a Sword, naturally have a high and well rounded stats, so it's a good choice as a front unit. Plus, one-handed swords are pretty common too, giving them a quick boost on their stats. - Learning how to dodge or parry powerful attacks would also help a lot when playing 3* melees as core. - Note that Rapier and Dagger characters are also good, especially when you already have their weapons. - Your 2nd Core unit is someone that can step up against the weaknesses of your core unit, so a good choice would be a Mace or a Gun wielder, to counter Elementals and for fighting Lizardmen for example. - Yuuki [Mysterious Warrior] = great character, has a high and well-rounded stats as well, but with lower attack speed and MP gain. - Sinon [World of Guns] = has the highest base attack stat among all 3* characters (2530). Her skills can also inflicy high burst damages! 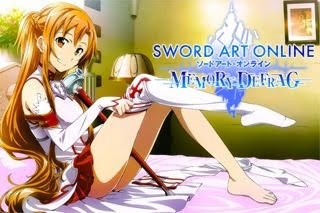 - Agil [Stalwart Tank] = decent Mace wielder if you don't have the other two. - These characters are really helpful to ensure your team's survival throughout the game. Highly recommended for Floor Clearing Events. - Also a pretty useful sub for Co-op battles, if you want to play as a healer for your party. - When upgrading, just focus more on Attack (healing amount), MP, HP, and DEF stats since their main role is to heal your party. Lvl up and upgrade their healing Skills as you go too. - To learn how to effectively dodge attacks using a ranged character, refer to our separate guide here: Controls, Elements and Weapon Types. - Other 3* characters can also be useful when used correctly. One way is to to use them as subs for fighting a particular boss or group of enemies that is under 1 Element. - There are six types of elements. Elements at an advantage deal large amounts of damage; elements at a disadvantage take great damage. - NEUTRAL (Non-Elementals are unaffected by elements, therefore they don't have any weakness). - Your character's Element is the background color of their "Weapon Type" icon. - Your character's Sword Skills will also get their own set of Element. - Equipment icons will also get their own Element, match them to your Character to get bonus stats.